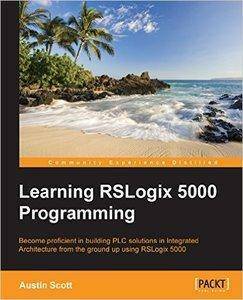 This book is for PLC programmers, electricians, instrumentation techs, automation professionals with basic PLC programming knowledge, but no knowledge of RSLogix 5000. If you are a student who is familiar with automation and would like to learn about RSLogix 5000 with minimal investment of time, this is the book for you. RSLogix 5000 and Studio 5000's Logix Designer are user-friendly interfaces used for programming the current generation of Rockwell Automation Controllers including ControlLogix, CompactLogix, and SoftLogix. When engineering automation solutions using Logix, it is important to study the changes to the platform introduced with Studio 5000 and the various controllers, modules, and form factors available today. RSLogix 5000 programming packages help you maximize performance, save project development time, and improve productivity. This book provides a detailed overview of the Logix platform including ControlLogix, CompactLogix, and SoftLogix and explains the significant changes introduced in Studio 5000. A clear understanding of the recent Logix platform changes is critical for anyone developing a Rockwell Automation solution. It provides an easy-to-follow, step-by-step approach to learning the essential Logix hardware and software components and provides beginners with a solid foundation in the Logix platform features and terminology. By the end of this book, you will have a clear understanding of the capabilities of the Logix platform and the ability to navigate the Rockwell Automation Literature Library Resources. A step-by-step approach to RSLogix 5000, which is explained in an easy-to-follow style. Each topic is explained sequentially with detailed explanations of the basic and advanced features of Rockwell Automation that appeal to the needs of readers with a wide range of experience.